The morning when we woke up in the tent to the sound of raindrops… Such a disappointment! 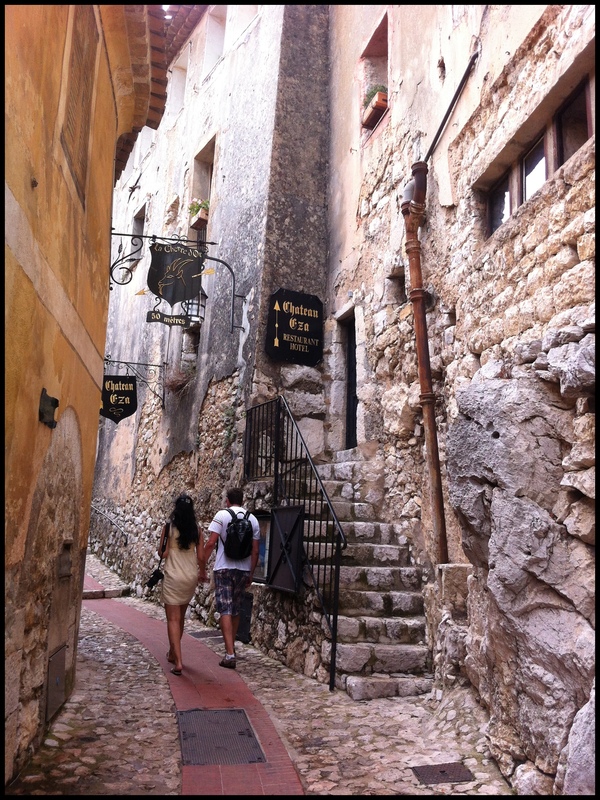 But that is what happens when you go to France in low season – less crowded, yes, cheaper, yes – but there is a chance you won’t get lovely weather the whole time. 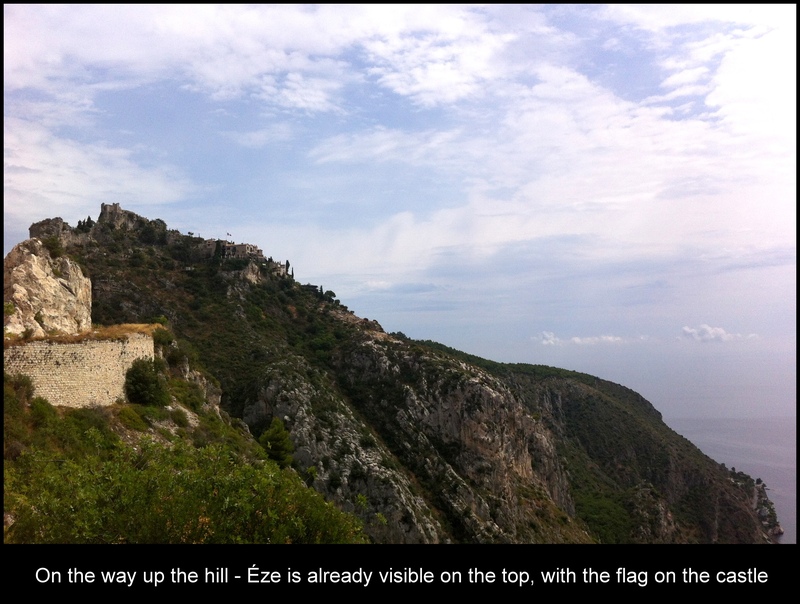 The first stop was the ancient village of Éze not far from Nice – which lies 430 m (1400 ft) above sea level. 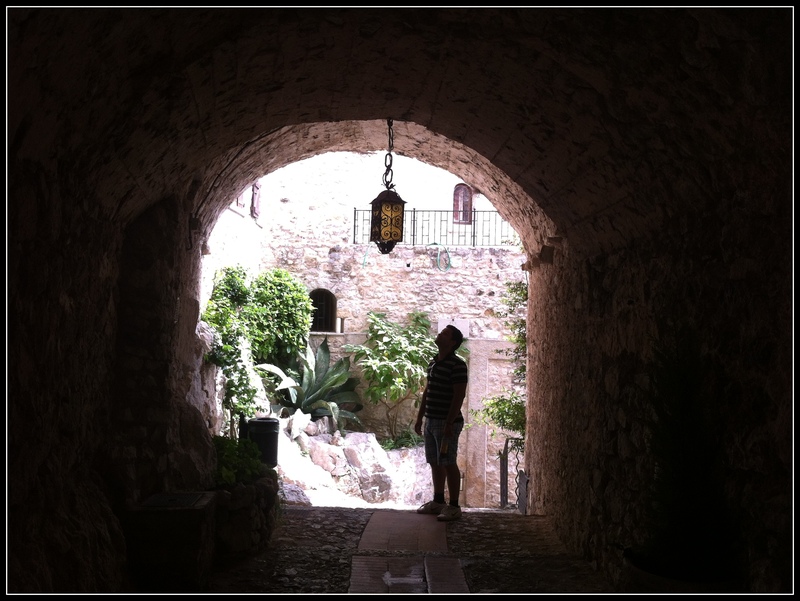 Stunning views, a labyrinth-like feeling and the atmosphere of the castle ruins are all priceless. 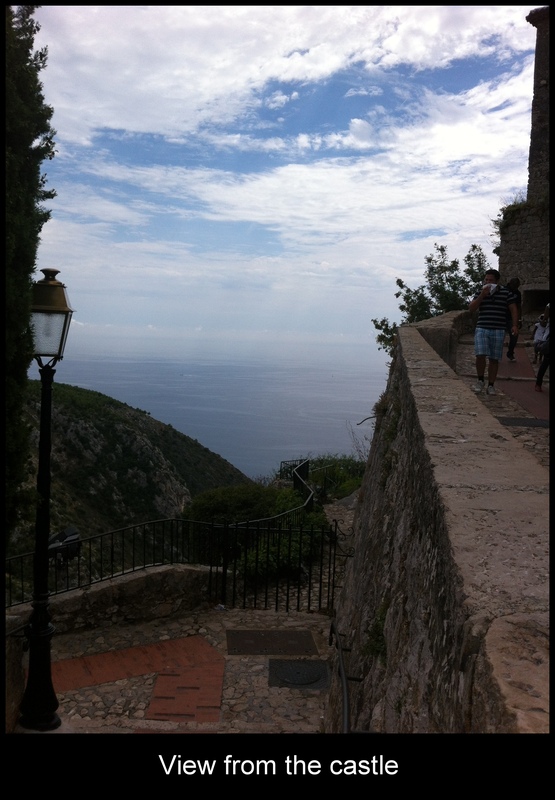 There is not even question, I preferred Éze to Nice or Monaco. 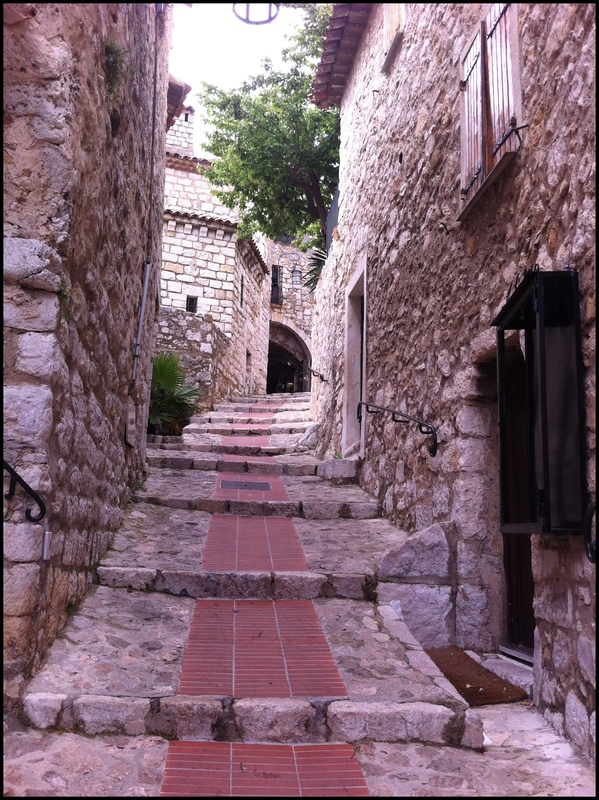 It was obvious that I would do – a medieval village on a hill top with fabulous views to Saint-Jean-Cap-Ferrat where we spent the previous day. 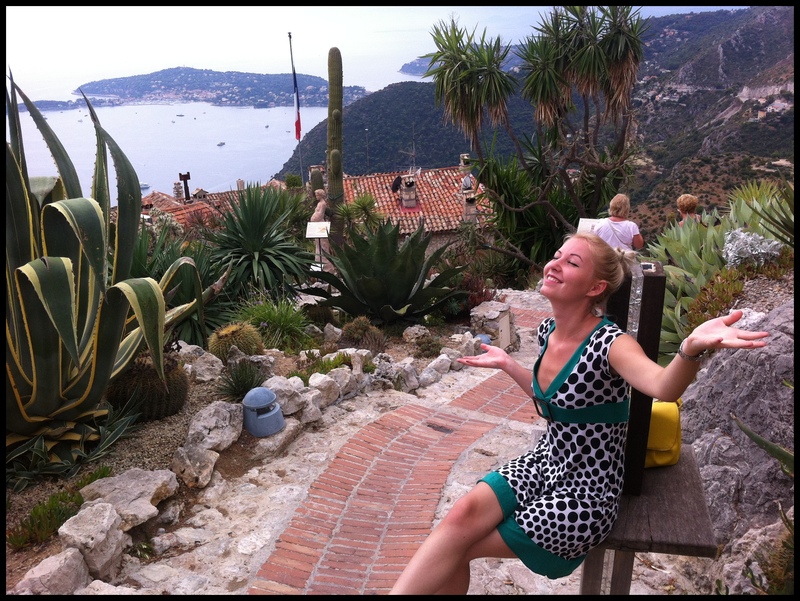 The highlight for me was the cactus garden on the top (Le Jardin d’Eze). Entry is €6 but well worth it. 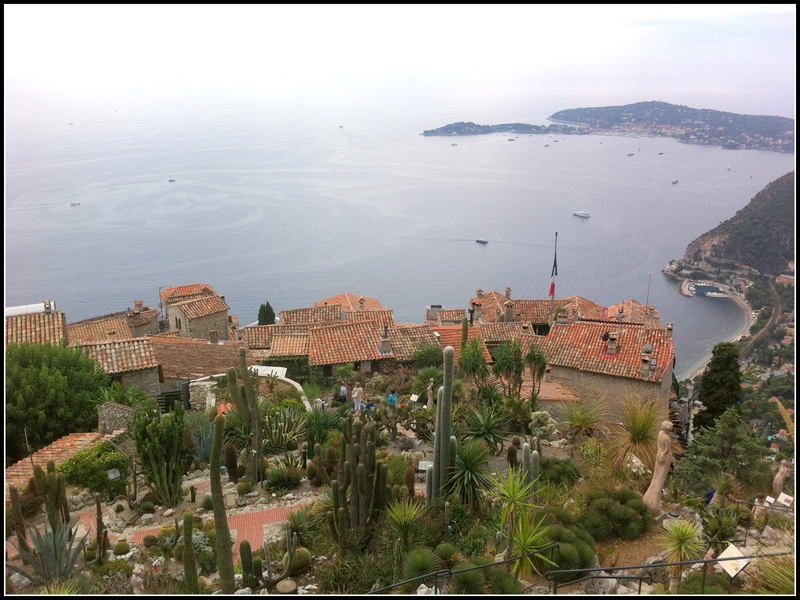 Beautiful setting, sculptures, interesting plants and background info both in English and French. 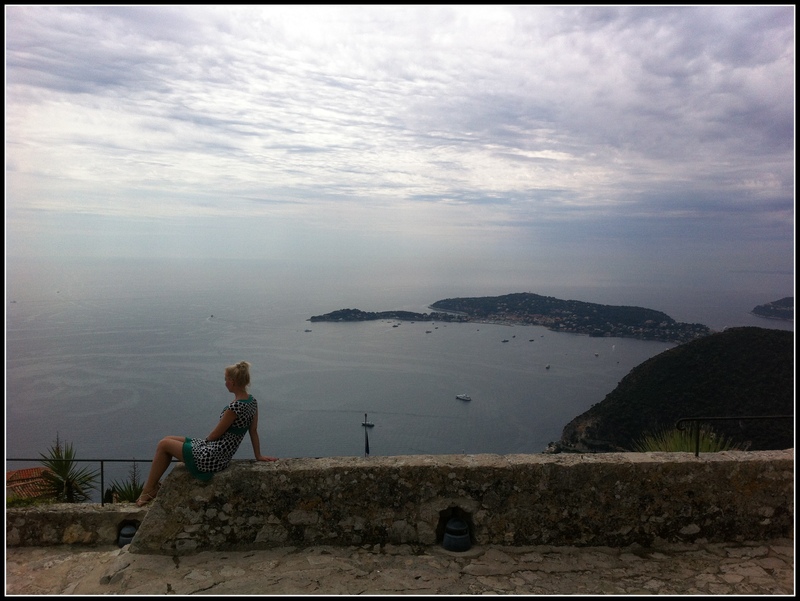 I can imagine the view is much nicer with clear blue sky, so definitely planning a long weekend back to Nice so we can visit Eze in nice weather.